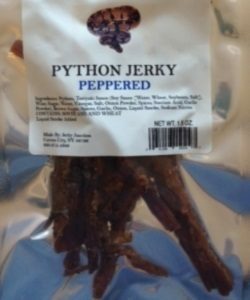 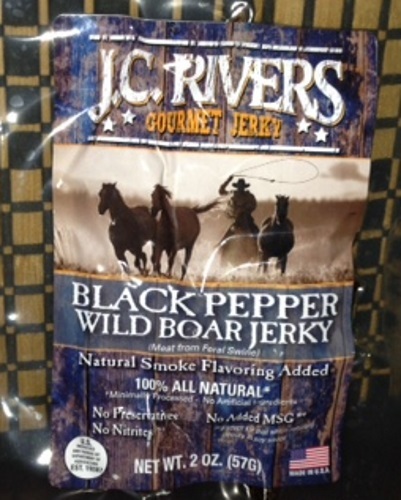 JC Rivers Wild Boar Jerky is made from a thin slab cut of meat. 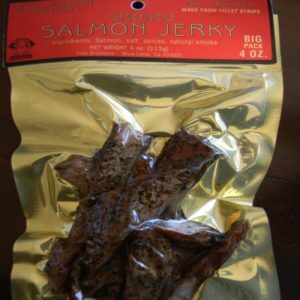 No added preservatives, MSG or nitrites. 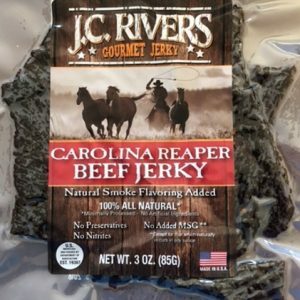 Ingredients: Wild Boar (feral swine), soy sauce, water, teriyaki sauce, brown sugar, pineapple juice, black pepper, liquid smoke, garlic, white pepper.